When you lay all the facts on the table, you will begin to realize that (simply put) drug addiction is one of the most dangerous mental illnesses affecting the world today. If you have never suffered from this problem or known someone who has endured this process in the past, imagine (for a moment) the pain of struggling to cope with a constant desire to consume a dangerous substance. Nevertheless, in the back of their minds, these poor people know drugs like cocaine, meth, and heroin are 100% bad for them but continue to inject and snort them nonetheless. So how do they overcome their chemical connections to addictive substances without putting their lives on the line anymore? After all, detox and withdrawal can be dangerous (and sometimes fatal) for long-term abusers and addicts. In the end, simple treatment programs can be life-threatening. In the field of addiction science, doctors and specialists have started integrating harm reduction therapy into an addict’s lifestyle and treatment. Unlike the rigorous and painful process of abstinence, this form of healing gradually reduces the number of drugs the addict consumes, which is particularly helpful for individuals who suffer from debilitating cases of this mental illness. In other words, this system focuses on the path of progress, not reaching instant perfection. Overall, the world is starting to practice harm reduction therapy on a much larger scale. In Europe and Canada, doctors are creating new policies to get victims back on their feet. Likewise, the United States is also serving as an epicenter of harm reduction techniques, some of which may surprise you. Just ask Dr. Joe Schrank, the program director and founder of High Sobriety (based in Los Angeles, California). As part of his harm reduction program, he gives patients medical marijuana. To answer that question and look at this new form of treatment in more details, let’s read on. Is Marijuana an Addictive Substance? Simply put, the answer to this question is “yes.” Despite what the pro-cannabis community will tell you, marijuana can induce a form of addiction or dependency. Based on medical reports, an estimated 10% of pot consumers might develop something called marijuana use disorder, resulting in severe impacts in a person’s social life and family life. Also, if children use the drug before they reach young adulthood (18 years), they are 4-7 times more likely to develop a marijuana use disorder than older adults. Like any other case of addiction, marijuana use disorder can develop based on a person’s genetics, the initial age of use, comorbidity (having an underlying mental problem besides addiction), and familial/social relationships. However, recall that only 10% of people will develop this problem. That number is relatively slim when you consider that hundreds of thousands of patients suffering from opioid addiction and dependency in the United States. Although the federal government has not officially legalized marijuana at this time, over 33 states have officially legalized the plant for medical use. In fact, many doctors believe the most potent chemicals in this fragrant herb (cannabinoids) can be useful medications for treating many illnesses like cancer, HIV/AIDS, or Parkinson’s disease. THC: This is the special chemical component in marijuana that makes you “high.” Interestingly, though, the federal government has approved dronabinol (a synthetic variety of THC) to help cancer patients endure nausea and pain and to increase AIDS victims’ appetites. CBD: A therapeutic and less psychoactive property, cannabidiol (CBD) does not alter your brain in the same way as THC and is considered an essential element of seizure prevention. As a result, the U.S. government recently approved Epidiolex (a CBD-based drug) for children with seizures. THC and CBD Combo: This mixture is used to help people suffering from multiple sclerosis or chronic pain. 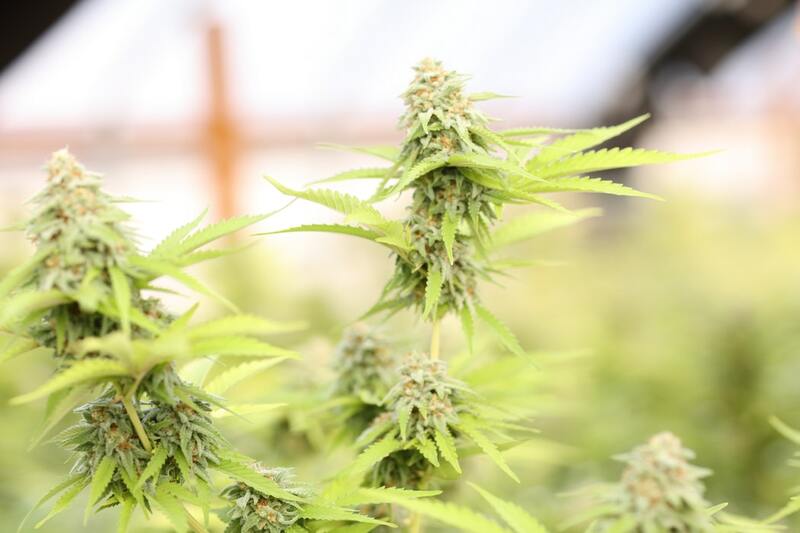 In a recent interview, Dr. Joe Schrank (from High Sobriety) explained that the use of medical-grade cannabis is simply part of a harm reduction theory, but he still believes the little green plant can do wonders for recovering addicts. Unlike some patients who want to put an immediate stop to their problem through rigorous treatment programs, some addicts want to play it safe by weaning themselves off dangerous drugs. As a result, some patients have expressed interest in using marijuana to cope with their recovery. Nevertheless, opponents like Todd Stumbo (CEO of Blue Ridge Mountain Recovery Center in Georgia) are not convinced of this new practice. As he explains, emerging therapeutic techniques and alternative medication are still invaluable parts of addiction recovery practice, but using addictive substances like marijuana is not the best way to handle the weaning process. Why does he believe this? According to Stumbo, the field of medical marijuana science is not widespread and completely substantial (still in the experimental phase). Recently, Nora Volkow (Director of the National Institute on Drug Abuse) explained that NIDA’s ultimate goal is to find a way to help addicts reach a level of complete abstinence. The only problem is that these scientists do not have any form of medication that has been proven effective in treatment programs for severe forms of addiction, particularly cocaine use. According to Volkow, cocaine addiction is a particularly dangerous case due to how the drug severely warps the user’s body. Ultimately, anyone addicted to this drug will suffer from seizures, strokes, or a bleeding brain. So you can imagine that the withdrawal process could potentially be fatal. Ultimately, Volkow is aiming to find a foolproof way to ease cocaine addicts off their drug of choice without a high body count. As Dr. Schrank points out, marijuana could potentially be a key to solving this dilemma.